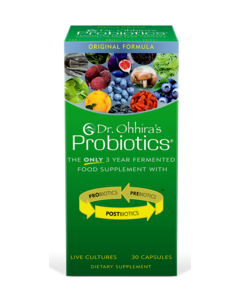 Dr. Ohhira's Probiotics Formula is meticulously processed for 3 years, including a two year period of natural fermentation. 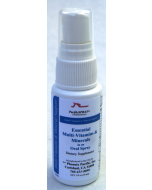 Contains a proprietary blend of 92 natural ingredients: variety of wild fruits, "naturally fermented" mountain spring water, and herbs and plants harvested from the cold mountain regions of Okayama, Japan. 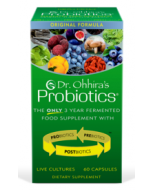 Dr. Ohhira's Probiotics, is an award-winning, totally vegetarian, hypoallergenic, non-GMO, bovine-free probiotic product formulated by acclaimed Japanese microbiologist Dr. Iichiroh Ohhira. OMX probiotic formula is guaranteed to re-populate the colon with the good microflora that is essential to a healthy immune system and overall good health. Studies by Dr. Ohhira have concluded that Dr. Ohhira's Probiotics formula is very strong immune enhancer and that Probiotic is effective against certain deadly superbugs like methicillin-resistant Staphylococcus aureus (cause of Staph infections), H. pylori (cause of peptic ulcers, morning sickness, migraine and cluster headaches), E. coli O-157 (cause of food poisoning), Bacillus cereus (cause of intestinal anthrax) and other harmful microorganisms. Regular consumption of Dr. Ohhira's Probiotic Formula is strongly recommended for people with digestive challenges like IBS, leaky gut, peptic ulcers, bloating and heartburn (GERD), ulcerative colitis, Crohn's disease, constipation or diarrhea, as well as those suffering from yeast infections including Candida albicans. Dr. Ohhira's Probiotics formulated by Dr Ohhira is also recommended for people on weight management programs that utilize certain natural products, such as psyllium and other colon cleansers, which strip the colon of the good bacteria. Dr Ohhira's Probiotics Formula is effective because it normalizes the micro flora (lactic acid bacteria) in the intestinal tract, reestablishes the colon's optimum pH level and Probiotics suppress the growth of bad bacteria while stimulating the immune system. Dr. Ohhira's Probiotics Formula fortifies the body's ability to absorb nutrients while providing complex B vitamins, antioxidants, minerals & amino acids. The most important strain of lactic acid bacteria in Dr. Ohhira's Probiotics Formula may be the proprietary TH 10 strain developed by Dr. Ohhira from the Malaysian food delicacy -Tempeh. 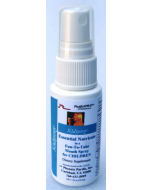 TH 10 has been proven effective in vitro against the most virulent pathogens including the MRSA (Methicillin-resistant Staphylococcus aureus) superbug, E coli-157, H. pylori (the cause of peptic ulcers). 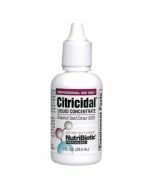 Each capsule of Probiotics Formula contains several billion live lactic acid bacteria that are 6.25 times stronger than any other intestinal bacteria known to microbiologists. The bacteria per capsule is 900 million CFU (Colony-Forming Units). 1991 Dr Ohhira named as scientist of the Year and he is honored as being the developer of the E. faecalis TH 10 strain of bacteria. For best results take one (1) capsule twice a day on an empty stomach (1 hour before or 1 1/2 hours after meal) or as directed by your primary health care provider. One box supply will last approximately two weeks.